This is the first chicken breast recipe I ever tried. Since I discovered it earlier in winter quarter, I’ve cooked it about three times. It’s incredibly tasty, but also pretty light and simple. I recommend serving this over rice with baked broccoli or, for a heartier meal, with linguini alfredo. 1. Season the cut chicken breasts with salt & pepper. Pour some flour in a mixing bowl. Coat the chicken evenly with the flour. 2. Heat a pan to medium heat. 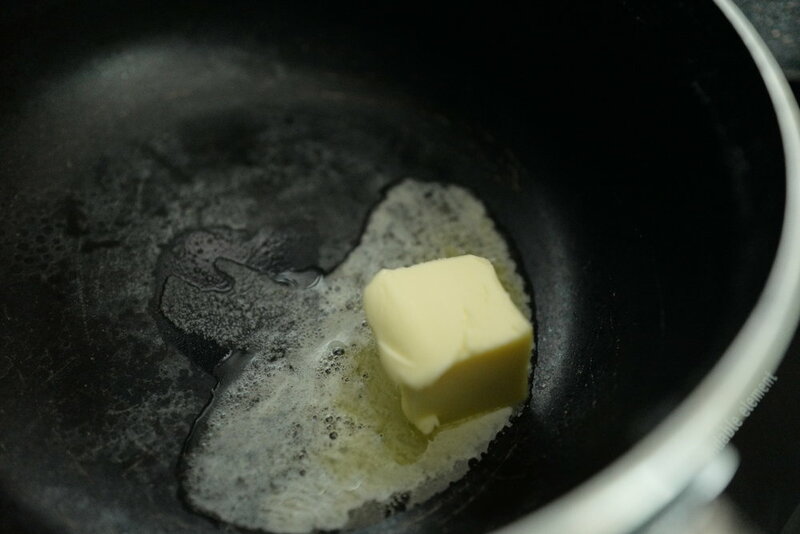 Add the olive oil and 1 tablespoon of the butter to a pan. One the butter is fully melted, add the chicken. Bring the heat up to medium-high. 3. Fry the chicken until both sides are golden-brown (~4 minutes on each side). Remove the chicken, let it set aside. 5. Add mushrooms. 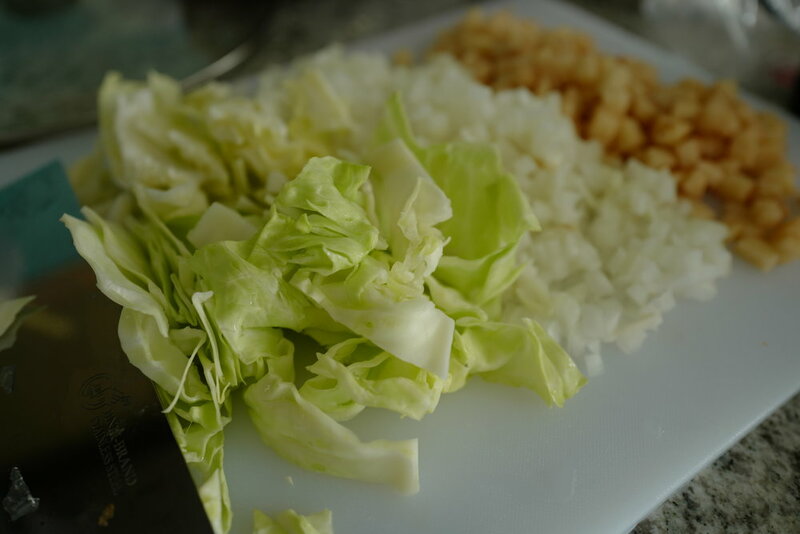 Cook until they are softened (~3 minutes). 6. Add the chicken broth and lemon juice to the pan. Let it bubble for around 4 minutes. 8. Add the chicken back into the pan, and let it cook for another 5 minutes. Check to make sure the chicken is cooked through. As you probably guessed, this dish is a twist on the classic french onion soup, AKA one of the most delicious soups in existence. The chicken in this dish bursts with flavour, and is the perfect excuse to have some cheese with your meat (mmm, Gruyère). I’ve typically had this on its own, but it would make for an amazing sandwich filler -- just slide everything between two slices of bakery bread, and pop it in the oven for about three minutes to toast the bread and melt the cheese further. 1. In a pan, heat 2 tablespoons of olive oil over medium heat. Add onions. Season with salt, pepper, and thyme. 3. Bring heat down to medium-low. Stir occasionally, cooking the onions till they are caramelized (~25 minutes). 4. Stir in garlic and cook for a minute. Pour everything in the pan onto a bowl, and leave it aside. 5. Season the cut chicken breasts lightly with salt & pepper. Pour some flour in a mixing bowl. Coat the chicken evenly with the flour. 6. Heat 1 tablespoon of oil a pan over medium-high heat. Add the chicken, cooking until golden-brown on all sides (~8 minutes). 7. Add cream sherry and return cooked onions to skillet. Bring mixture to a boil, then reduce heat to a simmer. Let the mixture cook for 10 more minutes. 8. Sprinkle Gruyère over the chicken. Cover the plan with a lid, cooking until cheese is melty (~ 2 minutes). 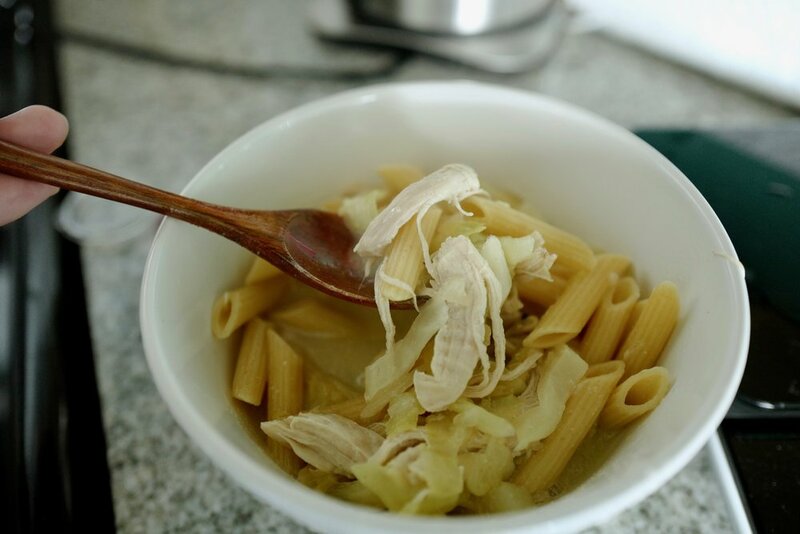 A good recipe for chicken soup is a must-have for every student in Chicago. Mine is inspired by a Filipino dish I used to have a lot at home. It was always a comfort I’d look forward to on days that I wasn’t feeling too well, and will probably be a comfort to you after a long, cold day outside. Typically, this recipe is made with macaroni, but it works well with penne too. 1. Bring the water to a boil. Add the chicken, and boil it in low-medium heat until tender (~ 45 minutes). 2. Remove the chicken and let it cool. Set aside the water used to boil the chicken. 3. Once the chicken has cooled, shred it. 4. Heat a pot to medium heat. Pour-in the butter and oil. Once the butter has melted, sauté the onion, leek, and potato till the colour turns (~4 minutes). 5. Add shredded chicken. Cook for 2 minutes. 6. Add chicken broth and the water used to boil the chicken. Bring it to a boil, then let it simmer for 20 minutes. 7. Stir in elbow macaroni/penne. cook for 15 minutes. If necessary, add more water. 8. Stir in milk and let the soup come to a boil.